MegaLic Dry Cow 14% SPL is Nutrient Rich for non-lactating dairy cattle. It is essential for maintenance during pregnancy and preparation for calving. This unique supplement is second to none when compared to other low-moisture blocks. This block is the product of a state-of-the-art patented process that provides a unique 24-hour feeding system. MegaLic Dry Cow 14% SPL is an exceptionally dense block that will give you the most for your money. Economical: A low feeding rate of 10 ounces/head daily means lower feeding costs (on a per head per day basis). Weather Resistant: The patented “continuous flow” system creates a low-moisture, exceptionally dense block that maintains its integrity even in hot, humid weather or precipitation. Minimal Labor: MegaLic® Dry Cow 14% SPL is easy to feed. Simply place the block in areas of easy access to cattle. What Are Amino Acid Complexes? MegaLic Dry Cow 14% SPL is formulated with a negative DCAD (dietary cation-anion difference). DCAD in the dry cow diet is known to help mobilize bone calcium and increase serum calcium. This is a fairly new approach to reducing the incidence of milk fever. Provide free choice as a supplement to non-lactating dairy cattle at the rate of one block for each 10 to 15 head. Place in lot or pasture near areas frequented by livestock, such as watering locations, shade or loafing areas. Cattle normally consume approximately 10 ounces per head daily. Consumption may vary depending on climate, grazing conditions, condition of livestock and/or availability of other feeds. In situations where climate and/or other factors result in consumption of less than 10 ounces per head daily, intake of supplement can be increased by providing additional blocks per pasture or lot. Provide access to fresh water at all times. Limit salt intake to no more than 1 ounce per head daily. Include MegaLic NR-30% in your Replacement Heifer program. 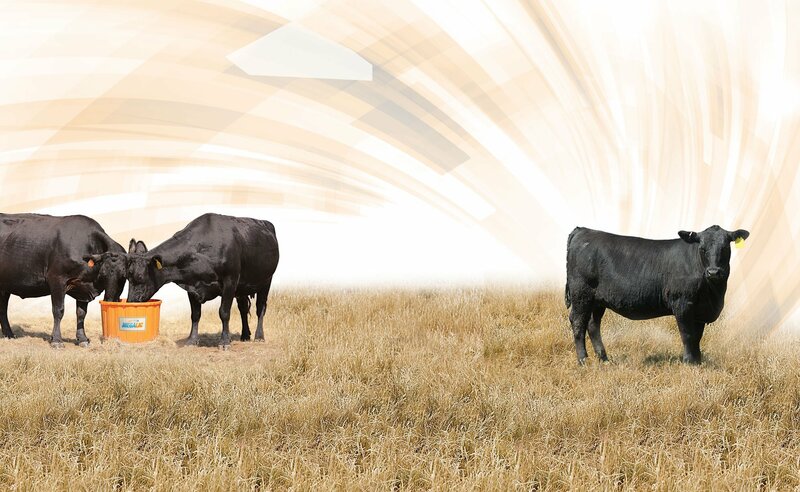 MegaLic NR-30% is Nutrient Rich supplement that provides essential nutrients to support growth, reproductive performance and forage utilization.